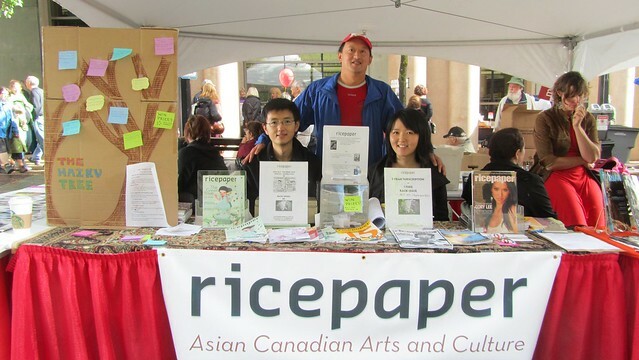 Here I am at the Ricepaper Magazine booth, organized by our managing editor Patricia Lim (right) and assisted by volunteer Jerry Tang (left). Ricepaper is published by Asian Canadian Writers' Workshop for which I have been a director since 2000-2005 + 2008-2011.
by The Asian Canadian Writers’ Workshop. Writers and poets from Ricepaper will read and share their creative writing. Usually I will spend some time behind the Ricepaper booth as an ACWW director, but I also helped to staff the booth for Historic Joy Kogawa House where I am president. readings by Jen Sookfong Lee, Wayde Compton, and Susan Crean. Historical Society – which I bought from Larry last week. Larry's book features praise on the back cover, from his childhood and lifetime friend, Wayson Choy. an article about Hapa Palooza, with some quotes from my blog. give to Pacific (saying to me “I'll give you another book”). 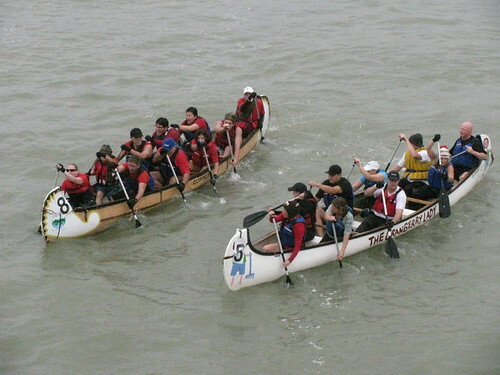 This entry was posted in Asian Canadian Cultural Events, Joy Kogawa & Kogawa House, Literary Events, Main Page, Multicultural events, Todd Wong, Upcoming Events on September 26, 2011 by Todd. 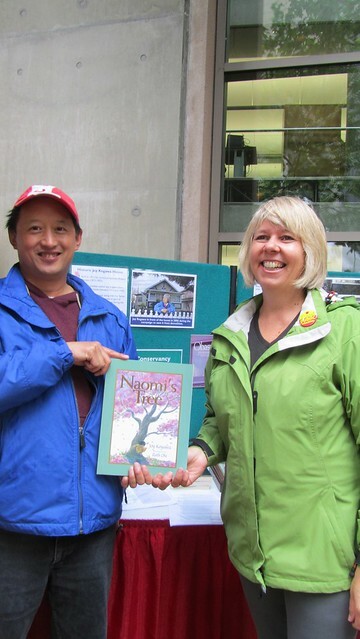 Word On The Street Fair features most Asian-Canadian authors yet! (as Wayde Compton describes himself). Sachiko and Richard. I have made the list in chronological order, so you can start at 11am with Kevin Chong, and finish at 4:10 with Wayde Compton. 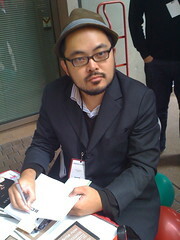 Kevin Chong was born in Hong Kong in 1975. He is the author of Baroque-a-Nova, Neil Young Nation, and a forthcoming memoir on horseracing. Beauty Plus Pity is his first novel in ten years. weekly writing column featured on CBC Radio One’s On the Coast and All Points West. Evelyn Lau is the author of four volumes of poetry, two works of non-fiction, two short story collections and a novel. Runaway: Diary of a Street Kid was a Canadian bestseller and was made into a CBC movie starring Sandra Oh in her first major role. 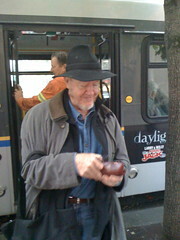 Living Under Plastic won the 2011 Pat Lowther Memorial Award for Poetry. 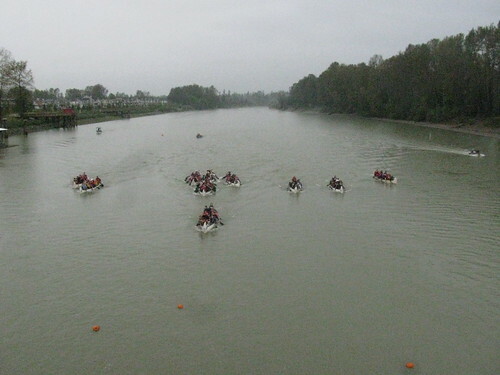 This entry was posted in Asian Canadian Cultural Events, Chinese Canadian History, Literary Events, Main Page, Multicultural events, Upcoming Events on September 19, 2011 by Todd. The Hapa-Palooza Festival is going great! lots of media and great talent. Last night's showcase The Sir James Mix-A-Lot Cabaret featured Kokoro Dance, Zhambai Trio, First Ladies Crew, and Green Tara. Contact juggler Chris Murdoch did a great job as MC @ the Roundhouse. I gave a welcome and explained the history of the festival origins and why we recognized Sir James Douglas – our first Gov. of BC, as a Hapa. He was born in Guyana to a Scots Father and a Creole Free Black Mother, and his wife Ameilia awas Metis. He was a visionary that saw British Columbia as a land where people could come from all over the world and live in harmony. That was in 1858. Check it out today at Robson Square – lots more music, art, and community booths. If you came to the 2011 Gung Haggis Fat Choy Robbie Burns Chinese New Year Dinner in January – you will recognize Celtic Fiddler Jocelyn Pettit, and co-host Tetsuro Shigematsu and Jenna Chow, film maker Jeff Chiba Stearns (One Big Hapa Family), and past performers co-host/singer Margaret Gallagher and rap singer Ndidi Cascade. This entry was posted in Main Page on September 10, 2011 by Todd. Pawsey, as well as the Orchid Ensemble with Jonathan Bernard and Lan Tung. Heather has been a repeat featured performer at Gung Haggis Fat Choy dinners since 2004. Lan Tung performed at the 2010 Gung Haggis Fat Choy dinner with her jazz fusion group Birds of Paradox. who we were is always a part of who we are. 125 years. For more information click on Vancouver Snapshots 125 or download our poster! This entry was posted in Main Page on September 9, 2011 by Todd.